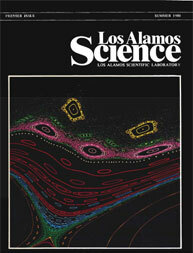 Description: Los Alamos Science, the flagship publication of Los Alamos National Laboratory from 1980 through 2005, was distributed to the international scientific community, academic libraries, and US government policymakers. It presented a coherent picture of some of the most exciting scientific initiatives of the Laboratory and served as a forum for LANL scientists to display the breadth and depth of their research and its significance to national security. Many volumes are devoted to areas in which LANL was or still is a leader. These range from frontiers in the biosciences - Human Genome Project, AIDS research, and radiation protection - to those in the physical sciences - neutrons as probes of nanomaterials, quantum computing and information, and predictive science. Some themes reflect LANL's focus on fundamental physics - nonlinear studies and the legacy of Stan Ulam, neutrino physics and astrophysics - others convey LANL's role in national security - Russian-American collaborations and challenges in plutonium science. The volumes on particle physics and the legacy of Stan Ulam were so well received that Cambridge University Press decided to re-issue them. Description: The premier issue of Los Alamos Science became a collector's item because of the seminal article by Mitchell Feigenbaum on the approach to chaotic behavior in deterministic system? The volume also features a series of articles on nuclear safeguards, an international effort to prevent proliferation by monitoring nuclear materials that began in the 2960's at Los Alamo? By: Edward W. Kolb, Jr.